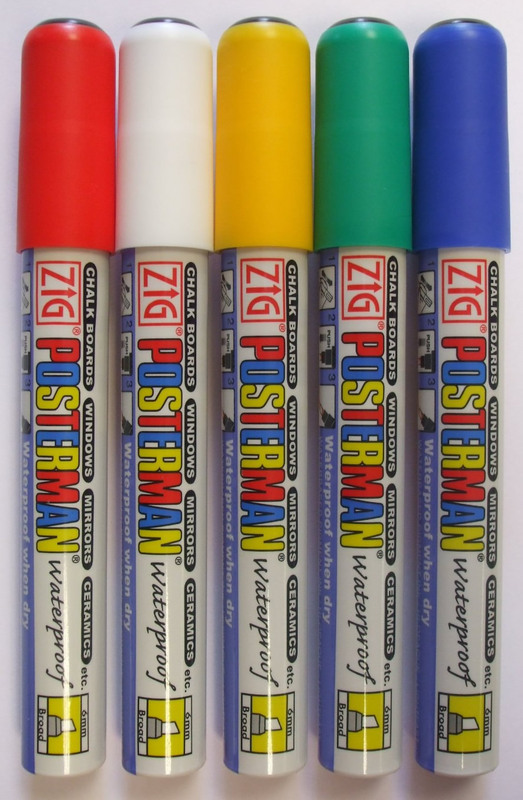 These highly opaque, lightfast and waterproof chalk markers are effective on surfaces such as glass, plastic, metal, wood and stone. They produce a chalk look without a chalk mess, are a valve-action and work exceptionally well on blackboards (chalkboards) and whiteboards. Used in pubs, bars and restaurants, with some classy artwork, these markers can make your business stand out from the rest! 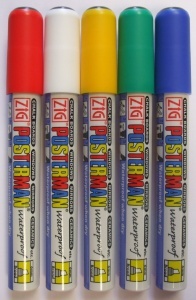 They are the pen of choice for many professional chalk sign writers. Rain resistant, these pens are suitable for both indoor or outdoor messages.